Tunisia has just hosted the Africa-EU Civil Society Forum, as part of a strategy both continents agreed on in 2007. The aim is to boost cooperation in ways that bring citizens direct benefits. And civil society gets a say – that’s particularly true in Tunisia. “We know Tunisian civil society played an important role in the democratic transition,” Iyad Dahmani, Tunisian Minister for relations with parliament, told Euronews. The forum focused on five themes: conflict prevention and refugees; human development; a sustainable future for our planet; socio-economic development and democratic governance. “This has been a very good exercise as to what role civil society can play in peace-building in both continents,” said Lulsegged Abebe, senior advisor to the African Union at the charity International Alert. The forum was held in preparation for the fifth EU-Africa Summit that will take place in Abidjan, Ivory Coast on November 28-29. Both the EU and Africa want to revamp their traditional donor- recipient relation. 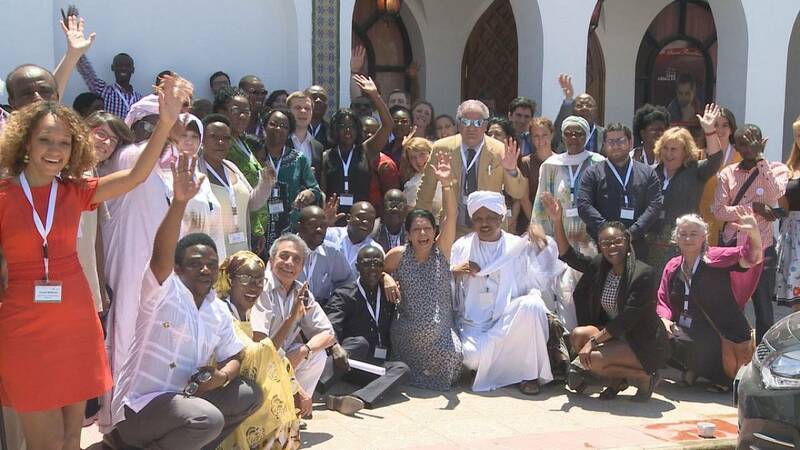 This civil society partnership goes beyond the political sphere: The forum brings together non-state actors including youth groups, the private sector and socio-economic organisations. “We could hear people who are really in touch with the grassroots level and who work at the local level on issues that are at the top of the agenda – like migration, climate change, gender,” said Rosario Bento Pais, head of the unit Civil Society at the European Commission. Her message: that both civil society representatives from both continents “speak with one voice” if they want to influence the EU-Africa summit later this year. The participants agreed on a joint statement from civil society across both continents. It makes specific recommendations that will be forwarded to European and African heads of state. “One of our key demands was that civil society is involved in all the instances and all the decisions of the Africa-EU partnership – that means to be involved in the implementation, evaluation and monitoring of all initiatives taking place in the framework of the partnership,” said Joan M Lanfranco, of the European steering group. The Africa-EU Civil Society Forum was held with the support of the African Union’s Citizens and Diaspora Directorate (AU/CIDO) and the EU.